Students! Get a head start on the family wellness lifestyle by opening up an ICPA club on your campus! 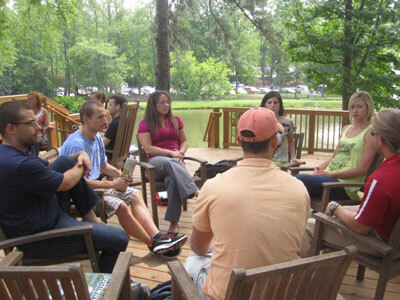 Once your club is initiated, you have the advantage of running a Pathways Connect Gathering Group on campus. Practitioner members pay to participate in these gathering groups and sponsor these education circles in their practice. The results have been outstanding! As part of the Pathways Connect program, they are kept current with resources and information most relevant to the vitalistic perspective for family wellness. For all of the Family Wellness clubs started on college campuses, we send out 25 copies of Pathways and give the groups the materials to initiate successful, monthly Gathering Groups. We also equip the groups with discussion questions and resources for each article in the current Pathways, fliers for promo, logos for a FB page, etc. Getting these important topics in your hands as students to build your own on-campus community and enhance your own personal conscious choice making. Preparing you as students with the knowledge of these topics and offering you a successful way to communicate these important topics to parents for when you are in practice. 1-Read and sign this Student Club Agreement (PDF) and send it back to us (mail, scan, email, fax, or photograph and send). 3-Email Heather and ask her for the agreement to view set up protocol. 7-Look out for your email with your logo and fliers and links to setting up your Pathways Connect Gathering Groups. Read more about these groups on our practitioner page here.